We are calling for European unity against mass migration, which is really important because we are now witnessing the process of a great replacement, which can lead to the vanishing of autochthonous Europeans. We are really getting replaced by immigrants. 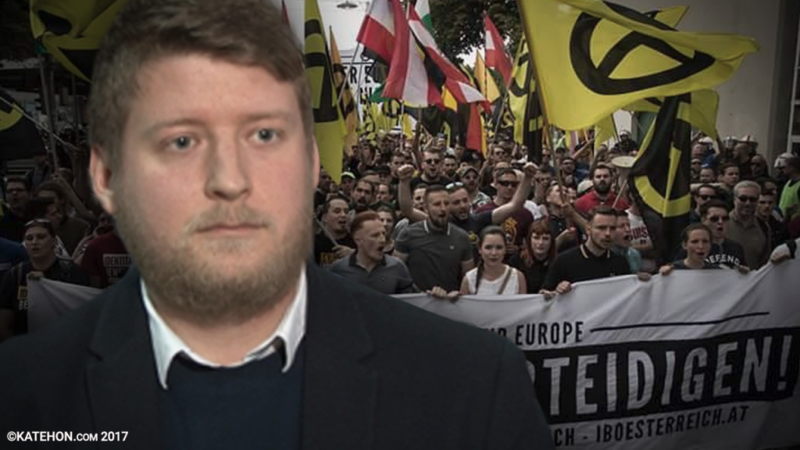 Therefore, we have organized actions and rallies to tackle these problems of liberalism and mass migration in order to make Europeans more aware of these problems, because the people are brainwashed by the mainstream media and their governments. Nowadays, we are very strong in France and Austria. In Germany we are becoming more and more influential. I can say that we are embodying some new kind of right-wing organization, which is standing for tradition. But we are against fascism and National Socialism. We just want to be normal patriots, but it turns out that being a patriot is really hard and condemned in modern society under liberal dictatorship. We have faced huge opposition from governments and anarchist forces. We very highly appreciate the European Catholic Church because it is a part of our cultural identity. But the problem is that the current Catholic Church and the Pope are actually in favor of mass migration. Therefore, the Catholic Church wasn't able to withstand the influence of liberalism. Of course, there are still many conservative priests inside the Church, but because of this "leadership" problem, they cannot operate openly. Therefore, we are still defending our Catholic heritage, but we are very critical of those who are ruling the Church and supporting this destruction and Islamization. We are afraid that very soon, because of recent policies, there will be no more true Christians left in Europe.